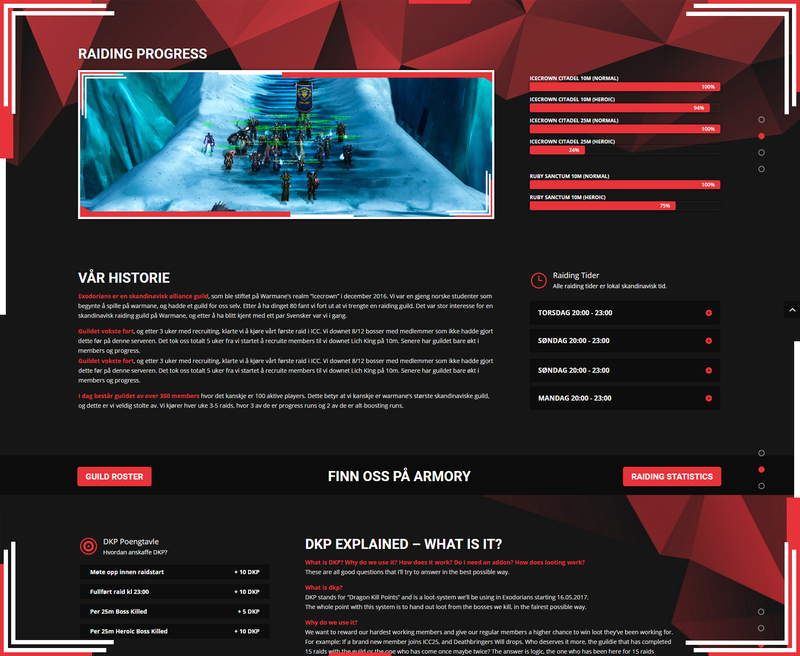 Exodorians is a website project I’ve done for a World of Warcraft guild. The website has a flat modern design, which isn’t very common in the World of Warcraft community. This makes the website stand out, and the mix of old and new gaming effects, gives the website a totally new dimension. The website is made in WordPress, and I’m using Divi 3.0 as the theme. All of my future websites will use Divi 3.0 as their groundpillar, because it’s so easy to work with, it gives great design possibilities and it’s actually responsive!